Concentrated, heavy duty interior upholstery, trim and fabric all purpose cleaner. Cleans all surfaces found in a modern car, leaving a fresh clean surface ready for a dressing or can be left matt. 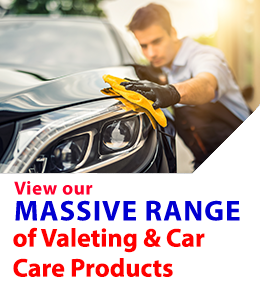 Fast acting solvents that remove stubborn Tar, Adhesive and Sealants deposits from body paintwork, glass and wheels quickly and efficiently to prepare the surface for the next stage of cleaning.